Amherst, MA: NextChar LLC, based out of Amherst MA, and Australia-based Carbon Pollution Reduction Scheme Exchange, or CPRSX, are partnering with the Bugkalot indigenous community in the Philippines to turn their land into a sustainably managed, income generating farm. The goals of this ambitious project are to employ every adult of the Bugkalot community at a livable wage, to increase food production and security, to promote forestry regeneration, land-use-change management and soil refertilisation through environmentally sustainable practices and processes, and to sequester tons of greenhouse gasses from entering the atmosphere in the process. 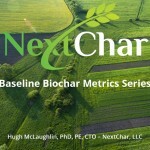 NextChar LLC will provide the project with six patent-pending processors that will provide renewable energy to community, provide over 4,500 tons tons of biochar a year to absorb the toxins in the soil, and sequester 15,000 tons of Carbon Dioxide a year from biomass waste in the area. Each processor will be attached to a twelve acre greenhouse, into which it will provide renewable heat. Biomass waste such as dead wood, and agricultural residue such as coconut husks, will be fed into the processor. The waste is then transformed, through pyrolysis, into biochar, where 50% of the waste’s carbon is trapped. This resulting biochar is used in the soil to absorb the chemicals that have been applied to the land for decades; it will remediate, each year, an additional 1000 acres of contaminated land and allow it to be safely and productively farmed. The Bugkalot Community project will start with seventy-five acres of greenhouse agriculture. Twelve people from the community will travel to the Netherlands, for six weeks, to be trained in greenhouse maintenance and farming. They will return to train additional community members who will then be employed as greenhouse farmers. Three years of regular greenhouse agriculture training will be provided for the community. Once all thirty hectares of greenhouses are planted, it will provide a 40% increase in the number of tomatoes sold in the Philippines. When an indigenous community in the Philippines obtains Ancestral Domain, or ownership of their pre-colonized land, often times mining and oil companies persuade the people to let them use their land for a return of 1% royalty. More often than not, they don’t receive royalties of any sort, and swaths of their land is ruined. CPRSX is offering them a different option for their land: cultivate it in an environmentally sustainable way, make your own money, and keep it.